My husband took me on a trip to California wine country (Napa and Sonoma to be specific) when I was 27 weeks pregnant. Many women may see this as grounds for divorce, but as all of you know, Mark has a never ending passion for wine. He reads about it, he writes about it, he can’t go a day without letting it slip in to conversation. Aside from our son, it is one of the things in life that brings him the most joy. None of this is to say that this trip was an easy sell. Oh no. I preferred a beach in Florida, or someplace warm and sunny. But the threat of Zika was on my mind and I couldn’t quite come up with that perfect place. So I agreed (reluctantly) to come to wine country. My last trip to Napa had been quite stressful. Our son Titus was only six months old and the separation between he and I caused some difficulties on the trip. 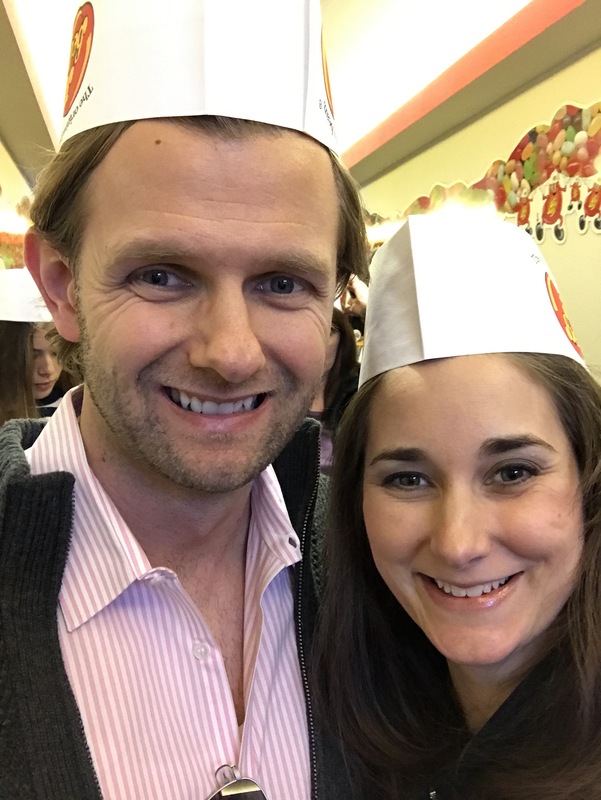 With that in mind, Mark made an incredible effort to make this trip far more enjoyable for me and to incorporate activities that I would be able to enjoy apart from winetasting. Mark often laments that he pees on a bell schedule but I think he quite enjoys being on a tight and orderly schedule. He planned our trip down to the minute it seemed. Appointments scheduled and addresses, phone numbers, and contacts recorded on a detailed itinerary that I was emailed the day prior to our trip. 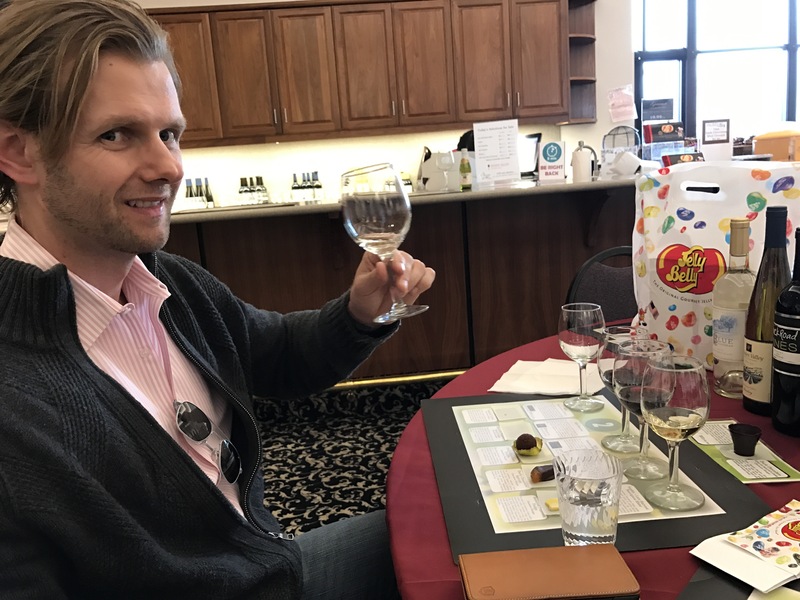 Item number one on this detailed list of wine adventures, was actually a tour of the jelly belly factory in Fairfield California. Scoff if you must, but this had been an interest of mine since our second trip to the area and we had stayed in Fairfield. Ice on the plane in Omaha however resulted in a flight delay that threw the first day off. This was compounded by a road closure and general San Francisco traffic. By the time we arrived at the Jelly Belly Factory, Mark was tense about missing our first appointment with a winemaker. As we read the sign about the frequency of the tour departures, I knew that my dreams of witnessing the creation of Jelly Bellies would likely be squashed. I’ll pause now to tell you that Mark has not always been the most flexible when it comes to change, especially change that impacts what he wants to do. Since the arrival of Titus however, that flexibility has been tested time and time and again. The only schedules babies like are their own and even then, they like to make modifications whenever their little hearts desire. Titus’ lack of regard for Mark’s timelines has made Mark (try to be) a more patient person. It’s a work in progress as he would attest but a noticeable one to our family. So, when my eyes started to tear at the thought of missing my precious Jelly Bellies, Mark stepped around the corner and made a phone call. I knew he didn’t like it, but he canceled our appointment with the winemaker (to whom I apologize) and suggested we get a bite to eat before embarking on our tour. After our lunch of a Jelly bean shaped burger and some nachos, we began our tour. 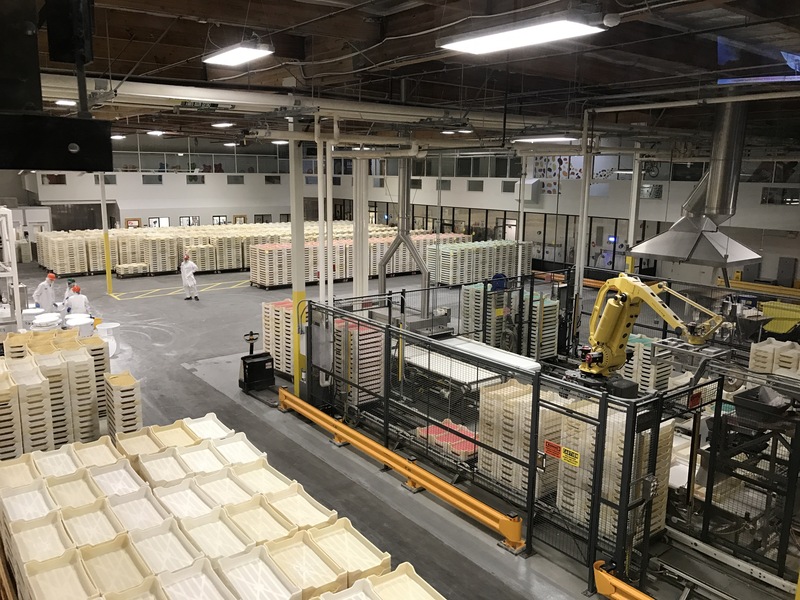 I’ll spare you all of the details of the Jelly Belly making process (though I assure you, it’s fascinating – pictures below) and skip to the part that you, a wine blog reader, might be interested in, the wine. 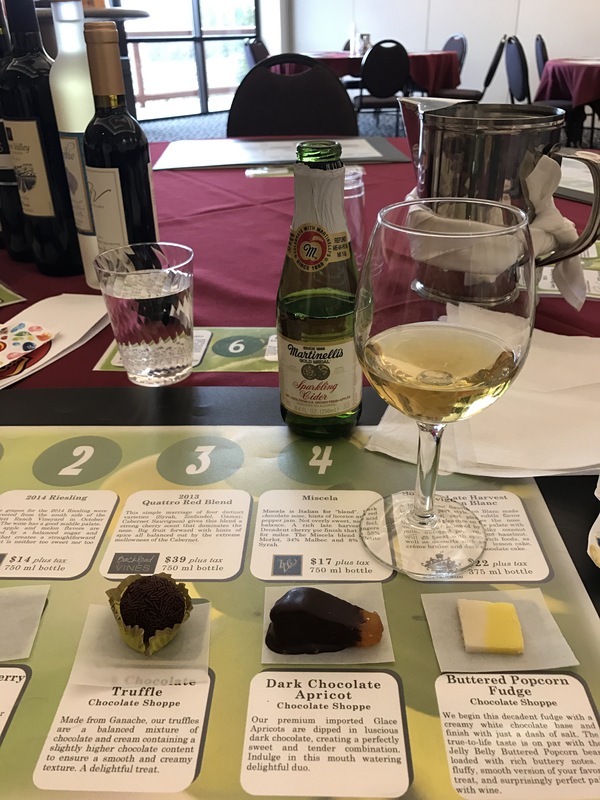 Yes, at the end of the tour, we learned that you could participate in a wine and chocolate tasting. There was even a sparkling grape juice and chocolate pairing for kids, er me. Mark was delighted and we sampled a sugar coma’s worth of chocolate while Mark sipped generous tastes of a variety of wines found in the Suisun Valley. It wasn’t the intimate meeting with a winemaker that Mark had planned. Without me, it’s likely something Mark would have never done. But it was a sacrifice a husband made for his wife. And what is a good glass of wine without a happy wife anyway?